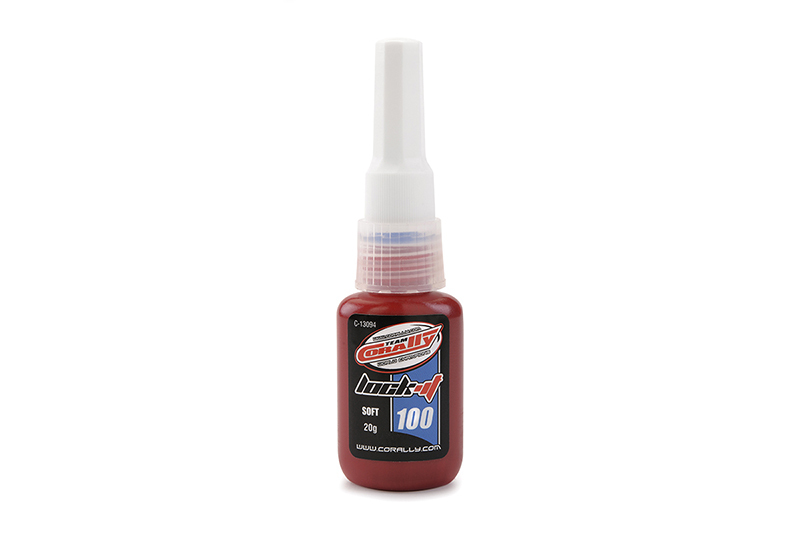 Team Corally LOCK-IT 100 SOFT is designed for the locking and sealing of threaded fasteners which require normal disassembly with standard hand tools. The product cures when confined in the absence of air between close fitting metal surfaces. It protects threads from rust and corrosion and prevents loosening from shock and vibration.